Our team is made up of some seriously talented craftsmen, funny and kindhearted people. Each one is special in their own way and the friendship that we have is different than the other. This month I wanted to introduce Javier. 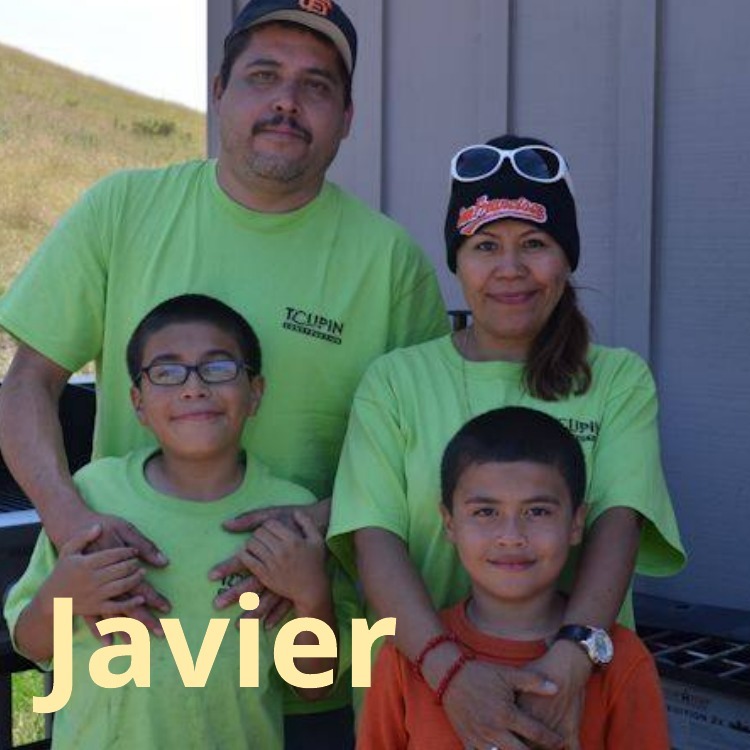 Javier has been with our company for over twenty years. He started off as Marco's (our foreman) little brother but quickly made a name of his own. Javier is a master when it comes to tape and texture and he is also a very skilled carpenter. He has a killer sense of humor and he puts his family above everything else. Javier is married to Eva and they have two of the coolest kids I've met. Leo & Angel- both of these boys have been hands on with Marley - teaching him and playing with him over the years at camping trips and amusement parks. The whole family is just great to be with. One of my favorite memories of Javier is when I got engaged. Now, Javier has known me since I was in my early teens. He has watched me grow up and date some serious boyfriends. So when I got engaged this last year- he was pretty excited for me. So excited that he picked out a few different wedding dresses and posted my face on them- sending them to me. It was a great laugh and I realized that guys have horrible taste in wedding dresses. Javier always knows how to make me smile and he knows how to make those around him enjoy their day at work and he is a good friend to turn to. So many of our customers compliment Javier because of his amazing skills in the field but also because of his kindness. One of the photos where Javier cut my face out and put on some random bride... Thanks for the help with choosing the right dress buddy. Contest!! Help me become a Bee Keeper! Why February 10th is the BEST Day of the Year. One of the advantages of Toupin Construction is that we are here, for the long haul. Expert craftsmen, honest craftsmen and conveniently located down the street. Copyright © 2018 Toupin Construction · All rights reserved.